* Inside (and unseen) each gable vent is a wooden frame (except our foundation vents & crawl space vents). The internal frame is clad in aluminum leaving no exposed wood. The louvers, trim and mounting flange are then attached using galvanized staples. This gives the vent excellent structural integrity. * Our gable vents are made from aluminum sheet which has a baked enamel maintenance-free finish. The revolutionary finish holds its color and resists the toughest corrosive elements - even UV radiation and polluted air. We also offer all our products in a mill finish (unpainted). 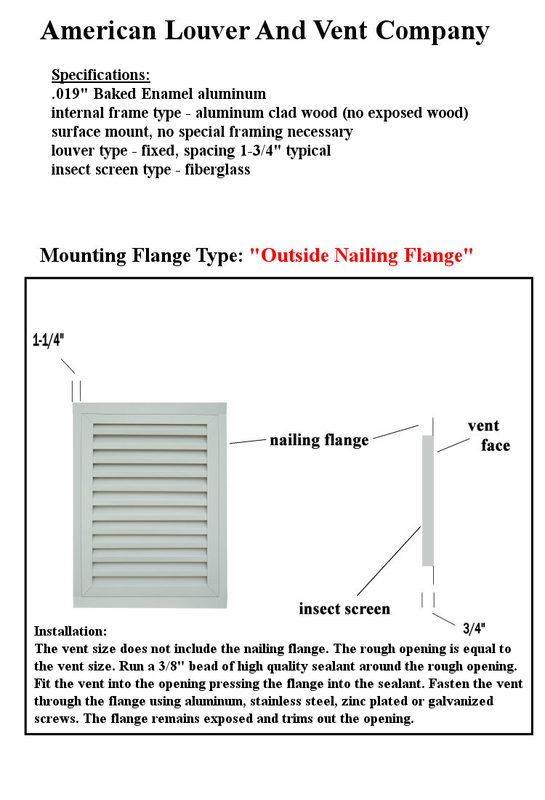 * All our products are fully functional and include a fiberglass insect screen. We can also make them non-functional (decorative). * Our gable vents are designed for use as a surface mount installation. Surface mount vents are extremely easy to install. No special framing is necessary. Simply cut a hole in the sheathing and install the attic vent using staples, nails or screws. 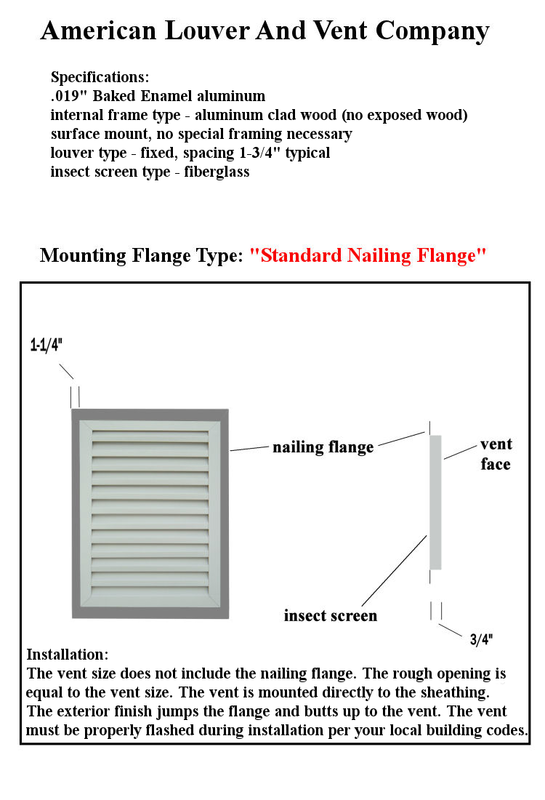 * Each gable vent comes with a standard nailing flange (nail fin), an outside nailing flange or a J-channel. The vent is installed first and the exterior finish is installed over the standard nailing flange or into the J-channel. * Use the standard nailing flange model for ease of installation with stucco, brick, rock, stone or fiber cement siding (Hardie Plank). Use J-channel model with vinyl siding, aluminum siding or steel siding. 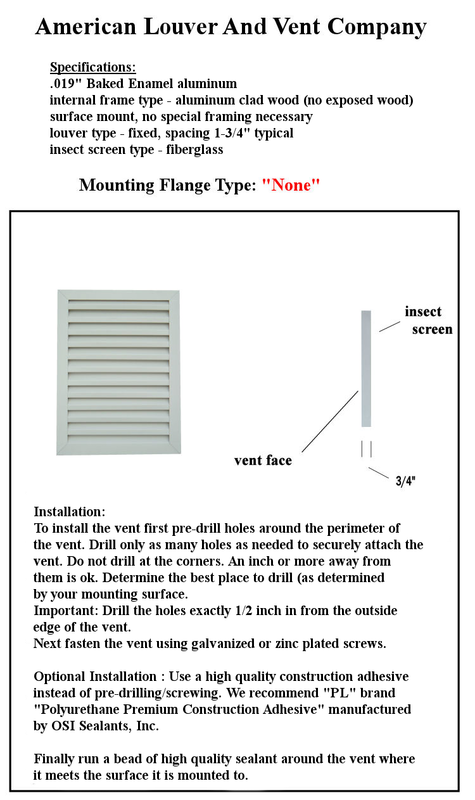 The outside nailing flange (sometimes called a "cut in flange") is used when the exterior finish is already in place and a vent is being added or replaced. The outside flange trims out the rough opening. 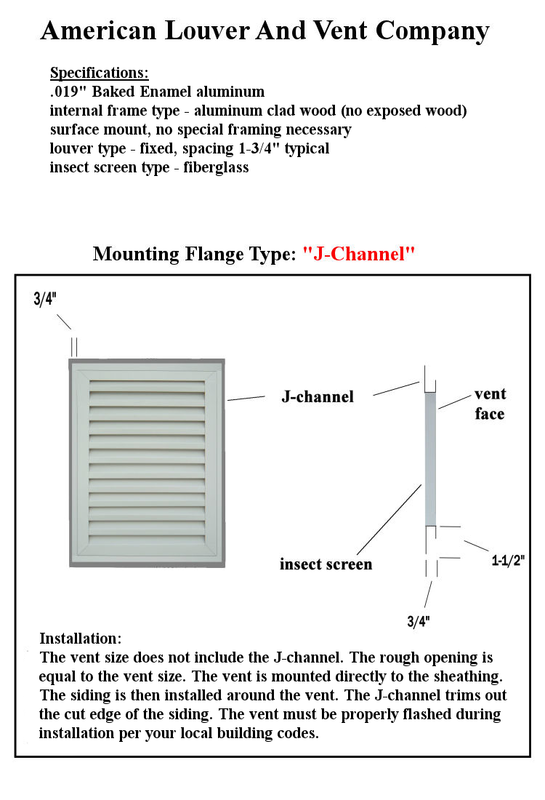 Occasionally a vent is needed without a nailing flange or a J-channel (such as a retrofit into an existing brick, stone or stucco opening). 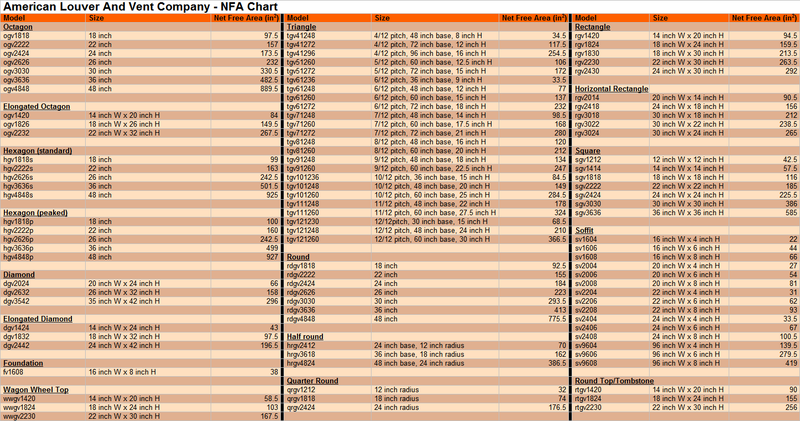 Select "none" for the mounting flange option in these applications. Click mounting flange links above for drawings, specifications and installation instructions. * A variety of color choices enable us to match vents to any project. We stock over 100 different colors with hundreds more available! Check out our great selection of Colors! * We also do custom orders (sizes, colors and styles) and we do them quickly. CONTACT US for your special order needs.